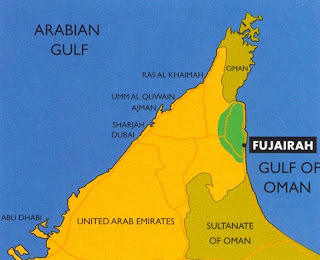 The highway options in direction of Fujeirah are more numerous today and thus more confusing than the unique road that took us there three decades ago. My aunt fit me in the back of the sports car with her future husband and elected me as her 12 year old chaperon for a road trip to Fujeirah. We didn't get lost as my brother and I did today on our way there for scuba diving. But the brown mountains developed suddenly after the sand dunes, in the same way they did in my memories of then. 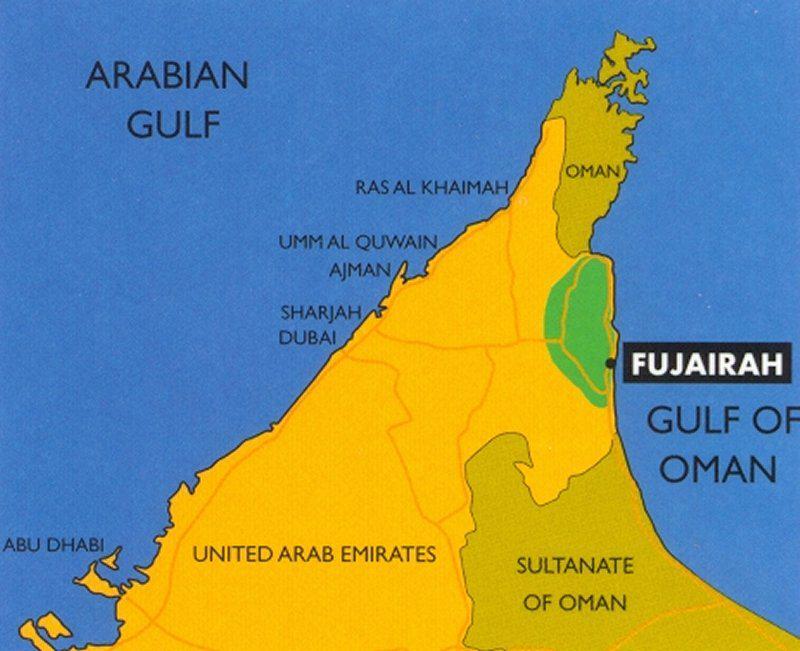 Fujairah was always a road trip destination for us. We have dear family friends who actually lived there (and still do) and we visited their ranch-style home by the sea side occasionally. It was there that I threw a message in the bottle, as an experience and game, perhaps an experiment for imagination building. I also remembered my grandfather who would take me and my eldest cousin (as we were the most manageable age to be babysat while he conducted his business). He had opened an Iranian hospital in Fujairah and was checking on the doctors and staff and grounds. We must have eaten the inescapable and delicious friday treat chellow kebab and must have been sent out in the gardens of the hospital to play. My cousin ran after me and I decided to squeeze myself between two cement rectangular columns. My head got stuck. There was no way out. He pulled and yanked my arm and I could not' be rescued. An army of medical employees came, followed by an angry grandfather and they put butter in my hair and greased my head out. In Fujairah. I was dragged today for the padi dives by my relentless brother, who never headed my incessant nagging and constantly motivated me. A true diving buddy he is. In any moment of panic, he was there encouraging me. I went first, in that seated backward plunge from the boat and we went doooooooown in an incomparable adventure: it took us to a space where we appeared to be flying underwater, selecting our hight and depth, hovering like a bird with palms as wings. My single comforting motto: I don't believe in sharks! 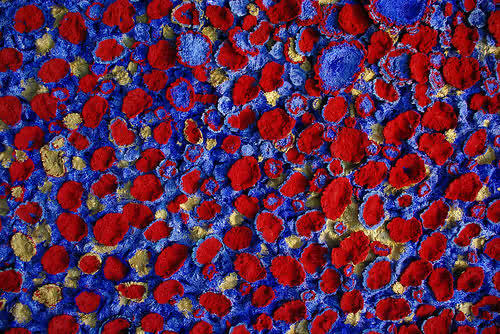 Once the technical exams were passed, we discovered a world of corals and multicolored fish. 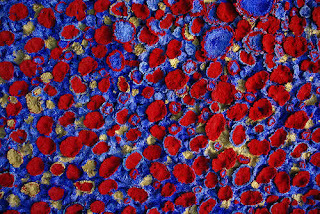 It was an artistic dream that reminded me of the coral two dimensional paintings by Nabil Nahas. While I was noticing that there were indeed "many fish in the sea", I turned to my brother and found my diving in a state of nitrogen overdose called narcosis: he was staring at the palm of his hands in disbelief of their color! 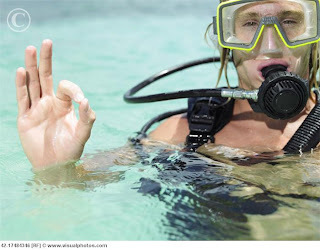 Why did they overwhelm me with this sort of information, amidst the removal and replacement of equipment under water (when I am incapable of doing it on dry land), the constant fiddling with the masque, the sign language? My family is exasperated by my eleventh hour attitude: again, I have discovered an activity to obsess about, at the ultimate moment of training, before which I had complained non-stop. I'm glad you finally like it!! we are going to have so much fun at our diving adventures! It was an 280S Mercedes with balloon tyres that took us on our first trip to Fujeirah with a newly married friends in 1972.The trip came to a halt after the AlZheid Oasis in Sharjah where the two-lane asphalt road disappeared into the desert.Now the experienced driver had to use his memory to brave the winding dried up ravines and steep river beds full of pebbles and small rocks that accumilated from the rain season.After 5 hours and experiencing one blown up tyre,we arrived to the sleepy town of Fujeirah where we spent a memorable weekend of hospitality and a whole beachfront for ourselves. Fast forward 2011,the blogger and her junior sibling were embarking on a scuba diving visit to Fujeirah to pass their exams.The trip to Fujeirah takes 90 minutes on a dual carriageway,that will be replaced this year with a modern highway that promises to reduce the trip to a 45-minute journey. Once you arrive,you will be shocked by the highrise buildings,wide roads and a Dubai wanabe image.